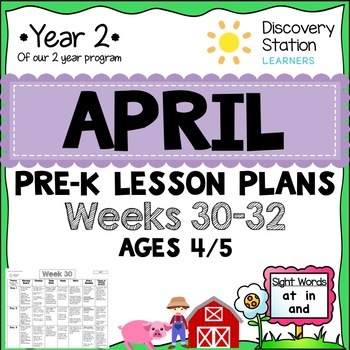 This product includes everything you need to teach weeks 30-32 of a 4 and 5 year old Pre-K class. 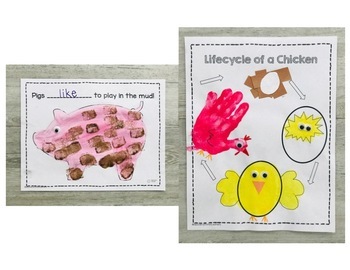 These lessons are meant to start in April, with the weekly themes being Spring and Plants, Farm Animals, and Chicken Life Cycle. 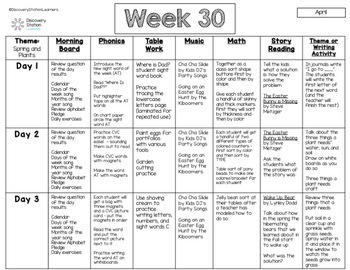 These lesson plans are to be used in conjunction with our 35 Week Curriculum Map. Because this is for year 2, the 4 year-old class, we have the students attend 3 days a week. However, the activities could be stretched out between additional days if that is what is best for your schedule. These could be used in a classroom setting or a home setting. We have used these exact activities and lessons in our own preschool for several years and have seen how it has very successfully prepared students to confidently enter kindergarten. We have a two year program, and these lessons are for the SECOND year where we work on more mastery of academic concepts. Be sure to look for Year 1, where we introduce these core topics.